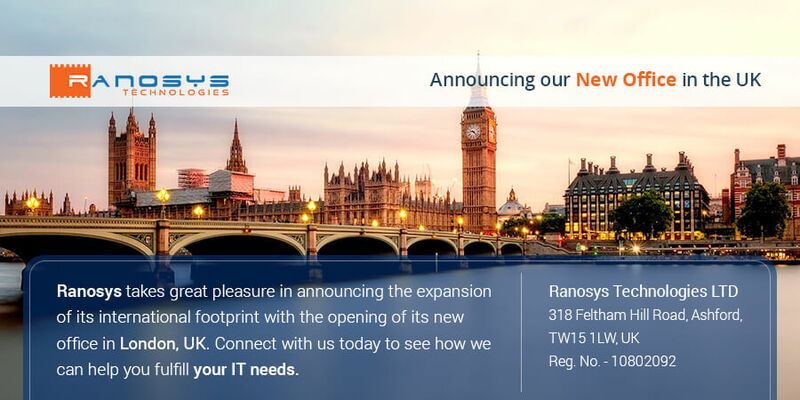 Ranosys, a leading software development company, takes great pleasure in announcing the expansion of its international footprint with the opening of its new office in London, UK. 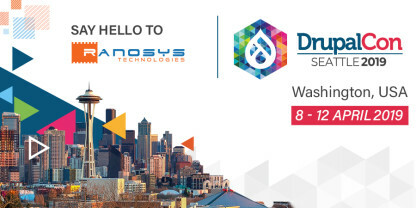 After notable achievements in the USA, Singapore, and India, Ranosys takes this opportunity to leverage the vast array of knowledge and experience to serve the UK and European clients. As per the reports of The Telegraph, tech sector in the UK is growing faster than the economy of the country with 72% of investment outside London. Ranosys intends to leverage this growth and offer its services to the organisations operating in the UK and European technology ecosystem. The new office will enable Ranosys to cater to the existing client base in the UK and Europe with more responsive services. “By extending our services in the UK, we aim to provide dynamic technology solutions and strategic advantage to the local organizations and businesses of all sizes,” said Anand Ramdeo, who has joined Ranosys UK office as the Managing Director to lead its initiatives in the EMEA region. “We are now well-poised to handle the growth we are experiencing in the EMEA region and will be able to absorb new customers at the current pace of growth,” he added. Ranosys is a renowned software development company that offers comprehensive and top-notch solutions in the areas of eCommerce Development, Mobile Application Development, Customer Relationship Management (CRM), Enterprise Mobility Solutions, Enterprise Web Applications, Software-as-a-Service (SaaS), Testing & Quality Assurance Services, and Enterprise Resource Planning (ERP). 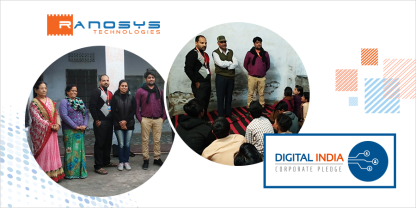 We have immense experience in delivering 500+ projects in 10+ industry verticals, including but not limited to healthcare, education, fashion & apparels, oil and gas, etc. We are excited to render our services to the clients from our new location!